Three Pedal for Alzheimer’s team members were named 2019 Hincapie Sportswear Ambassadors! I will join Josh Crisp and Pam Bettis-Tanner (two-time Pedal for Alzheimer’s cyclists) along with 28 additional cyclists as Ambassadors for the Hincapie apparel brand. I am excited to represent the Hincapie family by promoting new cycling apparel, custom designs and special offers. 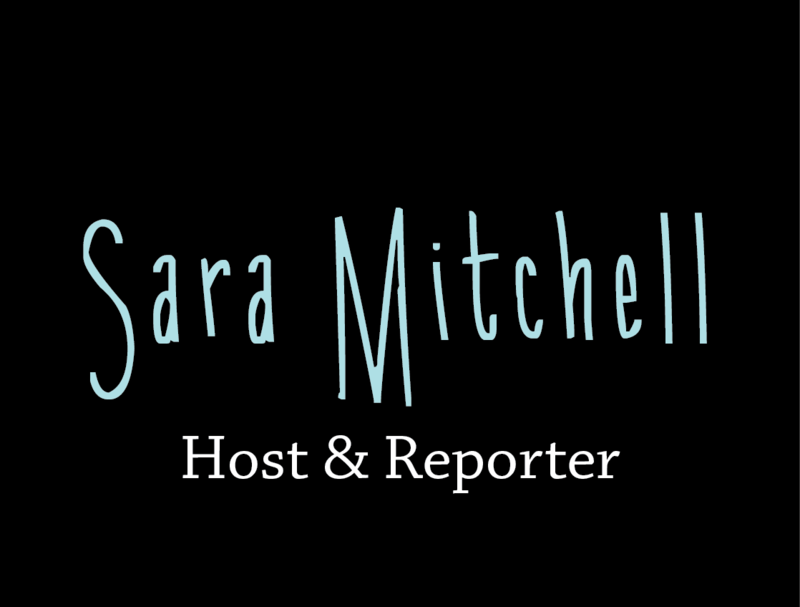 Follow me on social media @SaraMitchellTV for updates! Use promo code SARAMITCHELL at checkout. Chacha or waltz? Upbeat and sassy or smooth and elegant? It’s the 10th Annual and final Dancing with the Knoxville Stars fundraising event for East Tennessee Children’s Hospital and I am pleased to be part of the cast of dancers! Dance Tonight Knoxville paired me with dance pro Kris Hazard who is not only a fantastic choreographer, actor, and professional dancer, he is a great dance instructor. It was an exciting night where Kris and I danced a chacha to “Feel It Still” by Portugal. The Man. We finished second overall with 28 out of 30 points and third in fundraising with over $10,000 raised for ETCH. Thank you to the businesses who donated to ETCH on my behalf: Solinity, Clayton Homes, DeRoyal Industries, Engert Plumbing & Heating, Inc., Phillips & Jordan, plus many other friends, family and supporters! Dancing with the Knoxville Stars 2018 Full Performance from East TN Children’s Hospital on Vimeo. What a way to start the new year! In the months of January and February, I was thrilled to drive a Lexus luxury vehicle from Lexus of Knoxville for the 2018 campaign: Lexus Driver Experience. It was an honor to drive the newest wheels and test out unmatched features and tools that make driving in a Lexus unlike any other vehicle. During my time as a Lexus Influencer, I was fortunate to drive the NX 300, IS 300, and ES 350. Some of the standard but nonetheless bonus features I enjoyed most were heated/cooled seats, sunroofs, digital touchscreen audio controls, driving assist, and touch-less lift gates. Aside from excellent vehicles, Lexus of Knoxville is also devoted to the community and those living in East Tennessee. As part of the Lexus Driver Experience, I was pleased to participate in the Comfort Bears event where Lexus of Knoxville teamed up with B97 to collect stuffed animals that emergency first responders will have in their vehicles at the scene of emergencies to present to children who are facing crisis. Pleased to share my favorite features about the NX300 for Lexus of Knoxville! The 2017 Rivalry Thursday/H3 Playoffs season was one of the best! Games were action-packed and athletes made plays that surprised us each week. I loved sharing stories of coaching staffs, athletes, communities and student sections. Thanks for welcoming our team into your home on Rivalry Thursday and H3 Playoffs! August 24th Morristown East @ Jefferson Co.
September 14th South-Doyle @ Sevier Co.
Pregame Show at Greenback H.S. Sara interviews Cade Mays from Catholic H.S. Mark Packer and Sara Mitchell at South-Doyle H.S. Game 1 at Carter H.S. Sara and Mark Packer at Maryville H.S. The fourth of July is so much more than cookouts, get-togethers, fireworks and food. This patriotic holiday is a great display of our celebration of the Declaration of Independence. So what better way to celebrate than with red, white, and blue sweets and treats? Take a look at these recipes of yummy patriotic items to share at your July 4th events! Wash strawberries, raspberries and blueberries. In individual snack size bowls, scoop ½ cup of Greek yogurt per bowl. Slice strawberries into bite sized pieces. Place strawberries slices or raspberries and blueberries over the yogurt. Serving Size Approx. 5 oz. *Percent Daily Values are based on a 2000 calorie diet. Your daily values may be high or lower depending on your calorie needs. Cut the bananas into halves. Insert one rod into each of the snack sized banana cuts. Heat 1 cup of Nutella in a microwave safe bowl until melted. Dip each banana cut into the Nutella, spread until the banana is covered. Shake sprinkles over Nutella-covered banana cuts. Place on serving dish and let chill. *Approximate nutrition facts based on fruit and Nutella dipping. Combine cake mix, eggs, butter and lemon zest in a large mixing bowl; stir until blended. Blend sugar and cornstarch in small mixing bowl. Shape dough into 1-inch balls. Roll dough balls in sugar mixture. Place 2-inches apart on cookie sheets. Bake 8-10 minutes or until firm. Let cookies cool then place on a serving dish with a side of blueberries. On April 28, 2017, the Tennessee premier of “Dog Years” film took place at the Nashville Film Festival in middle Tennessee. In front of a packed Regal Cinema theatre, the highly anticipated film played for cast, crew, directors, local viewers and special guests. On April 22, 2017, the world premier of “Dog Years” was shown at the Tribeca Film Festival in New York City. The film stars legendary Burt Reynolds and Modern Family’s Ariel Winter. In the summer of 2016, the film was shot in Tennessee. I am thrilled to have been part of a stellar cast as the bride in the wedding scene. Take a look back at this photo recap from the world premier.